I know, I must apologize for being away for so long. As you can imagine I have been kind of busy lately, without much time or energy left for blogging. Well, first of all, I finished my Residency in Hospital Pharmacy. The last few months were quite intense, as I had to finish some pending tasks and also put an end to my partitipation in several projects. Besides, I was on-call on 7 of my last 10 days. It was a proper farewell to what has been a second home for the past 4 years. Then, of course, I have been loaded with paperwork, and making the necessary arrangements for our arrival in Hanover. The good news is my TP17 and I will get to live where we wanted, as we have been granted housing at Sachem Village, thus we did not have to spend that much time in searching for a place. In fact, by the time we were notified of which house was going to be our home, we had already made arrangements to buy furniture and car from a graduating T15. This is a common thing at Tuck (and, I imagine, at every other school), and it is a good way of getting what you need at a reasonable price. Indeed, there exist great resources for buying and selling stuff from/to other tuckies and members of Dartmouth, such as Dartlist or a Yapp-based application called Sello. I can say we are truly excited about living in Sachem. This is a neighbourhood in West Lebanon, about 2 miles away from Tuck, where most Tuck students who come to Hanover with their families live, and it makes for a very close and supportive community. We chose to live here as we feel it will make the adaptation process easier for us, and will be a more supportive environment for my wife, who is going to spend a lot fo time on her own at the beginning of the first year. Besides, we have met many other tuckies living there, all of whom have spoken highly of the neighbourhood and of the quality of the houses. On the other hand, I thought this could be a great time to learn a little bit more about what I want to do after the MBA and about the companies I am be interested in. As a matter of fact, there are several Pre-MBA internships or programs available for those entering the first year of the MBA this summer, although most of them are hosted in the US, which makes it difficult for internationals sometimes. However, after looking for some local opportunities, I have signed up for open days McKinsey and BCG will host at their Madrid offices in July. Moreover, I also applied to McKinsey Emerging Scholars Program, which allows students entering some of the top US schools to introduce themselves to the Firm and provides the m with the opportunity to meet with recruiters and consultants even before setting foot on campus. Beisdes, they offer mentonrship and a schoarship to those selected. I have been lucky enough to have made it to the interviews phase, and in the last couple weeks I´ve interviewed with the principal recruiter for Tuck and two alumni working at the Firm. The interviews have been very conversational, focusing on past experiences and also including a mini business case. And, of course, I have been able to get answers to many questions about the company, the kind of projects they do, the recruiting process… And they all were really willing to share their stories. Therefore, I have gotten much of what I expected when I applied. Now, let´s hope they liked what they saw. I sure did. Well, I am glad to be back! However, as I still have plenty to do I…and besides it´s like 33ºC outside today (yes, this is one of the advantages of living in Spain), and I intend to make the most I can of this summer. Swimming pool, here I come! I have decided to become a member of Tuck School of Business at Dartmouth MBA Class of 2017. That´s it. It is settled. It has not been easy and I have taken my time. MIT Sloan, the other remaining contender, is an amazing school (like I need to point that out, right? ), and the conversations I´ve had with current students and alumni have not make it any easier for me, as with every conversation I wanted more and more to go there. How couldn´t I? The opportunities are amazing and it´s Boston! And then there is the weight those three letters carry when put together: M-I-T.
As I metioned on my last post, and considering my goals ,both schools are mostly on par, and both foster strong and collaborative communities; so it would come down to style points. 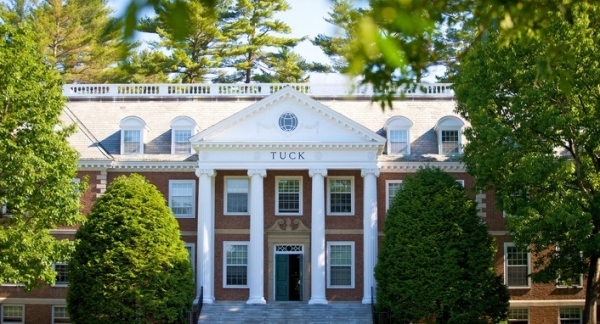 Tuck has one of the most loyal, engaging and supportive alumni network, if not the most, and it showed. And that was key for me to make this decision. Indeed, after been admitted, Tuck was by far the school from which I received the most mails or calls: alumni, current students, my interviewer… even the Director of the Healthcare Initiative contacted me to congratulate me and offered to talk about healthcare-related oportunities at Tuck. They showed love, and I was not even a Tuckie yet. Besides, I like Hanover and its rural setting. Okay, Boston is mindblowing and I love ig citites; but I also think, already coming from a big city, Hanover can provide a different experience, that of a true American college campus and it can also be a friendlier environment (and make for an easier transition) if my girlfriend ends up coming with me. And then, there is the quite generous scholarship Tuck has offered. While this is not a decision that can be made only thinking about money, getting an MBA is expensive and requires a big effort, even more so when you are coming from Europe. Therefore it would be foolish not to consider a scholarship as a key factor. I am aware that Sloan would provide me with a great community experience, an amazing and broader alumni network, just as many job opportunites, and even a more powerful brand wordlwide thanks to MIT (I would say both Sloan or Tuck names are not that very well known outside the MBA or business circles). I could have picked Sloan easily and be just as happy. But, beyond the reasons I have mentioned, I also went with my gut, and my gut was saying Tuck. But we are just at the beginning of the road. It´s January 1st. I have had almost two weeks now to digest my admission news. It´s is an amazing feeling, after so much effort and planning to finally know that I will indeed become an MBA candidate at one of the top business schools in the US after all. During these couple weeks I have received my admit packages,which included very generous gifts from every school, and the confirmation of a very generous scholarship from Tuck. It has been exciting to open those packages with an MIT, Dartmouth or Duke logo and also my name on them, I won´t lie. But now vacation is over in terms of MBA decisions, and I have to decide to which school I actually want to go. To do it is hard because I don´t really want to turn down any offer, as every school has impressed me in some way, and all offer great personal and proffesional opportunities. That also makes it a decision where I cannot actually go wrong. To be honest, I have to say that I have already ruled out Duke. Why? Because you have to start eliminating choices somewhere, and while Healthcare there is HUGE, and it is a place where I see a great fit (and I would be very happy to attend to), the other two appeal to me more, have strongest brands (although I recognize the power of the Fuqua brand) and I rather live in New England. Therefore, it is either Tuck School of Business at Dartmouth or MIT Sloan School of Management. Here the process turns harder. Okay. Regarding my carrer goals, pharma or consulting, I don´t see great differences between the two. MIt is in Boston, where many healthcare companies are headquartered, but both send roughly the same % of students into the industry; and while some of the smaller firms might not travel to Hanover, the big ones do. For consulting, I see both as powerhouses and core schools for the most important firms. So, in order to make this decision, I need to look elsewhere. Tuck has always been my first choice. I love the kind of community they have created up there, and in Hanover I see an opportunity to have a different experience, that of a true American campus, for two years. The alumni network is smaller but the strongest in terms of alumni involvement (something highlighted by the fact that during the past 10 days I´ve been contacted by many alumni I did not even know to congratulate me). Besides, we are talking about Dartmouth College, an Ivy League member. It is true, though, that MIT Sloan has a bigger network, and very engaging too, and that the brand is more powerful, if not in the US, at least internationally. Will that be a great difference? 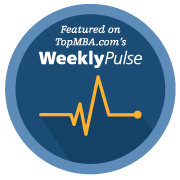 I believe that the typical MBA recruiter will know both schools really well, but of course we want to consider every fact. And then, the last quesion of all: do I want to live in a big city like Boston or in a small town like Hanover? As I said before, the latter provides a more unique experience and a tigher community. But coming from Madrid, and being a “city guy”, Boston is a very attractive destination, let alone one of the most vibrant cities in the US. Here I can say I don´t prefer one over the other, considering we are talking about 2 years and not 20. However, as I said, Tuck offers a more authentic American campus experience maybe. As you see, I am having some trouble to decide, since these two are great Universities, and it will come down to what kind of experience I rather have. The best thing is that I can´t go wrong. On friday afternoon I received the call from Duke Admissions to tell me I was in. The person calling me was a member of the admisssions team I had already met when she came to Madrid to host an event, so it was a really nice chat and she congratualted me for my great job with the application. With the admissions to Fuqua, I have been admitted to 3 of the schools I applied to, MIT, Tuck and Duke, and waitlisted at NYU Stern. This means now I have to decide to which school I want to attend, and I need to do so before January 15th, the offer deadline for Tuck. The students from those schools I have met during the process have been kind enough to personally congratulate me, and have offered to meet if I wanted to know more about their experiences or anything else about the school that can help with the decision and with the process of actually matriculating in the school, a opportunity I will take advantage of the next weeks. Yesterday I received a call from Dawna Clarke, Director of Admissions at Tuck. She told me that I was admitted to Tuck School of Business and that I had been granted an scholarship!! It was a very exciting moment and I liked the personal touch of actually calling the applicant. Today, I will have Duke´s decision., the last one. I will share it with you as soon as I can. I was ready to F-bomb like Tom Brady after losing against the Packers in Lambeau Field. It was late in the evening and I had not yet received a call from MIT Sloan admissions. Living in Madrid, I did not really expect to know anything before 6 pm. I had spent a quite morning for the most part and I planned a Christmas shopping afternoon/evening with my girlfriend, as we needed some errants to run, and afterwards we were going to meet some friends. It was a great plan to try keep my head out of the MIT thing. I will go ahead and say I did not completely achieve my goal, however, and after 7:30pm I started to look at the phone every 3 minutes, just in case something would magically appear on the screen… Even more so after learning that other people in Europe had already been called. But 8pm and then 9pm came and there was nothing. I had started to give up hope, thinking about how well I had felt about the interview and what great vibes I felt regarding my MIT chances, so when at 9:30pm I received an e-mail from MIT and logged in to check the decision, I was sure I would find either a waitlist offer or a ding. But when I read the note I almost could not believe it. I WAS IN!! At MIT no less. And then celebration time begun for my friends, my girlfriend and me. Today can be another big day with Tuck decision, and then Duke on friday. But it feels great to know I won´t have to worry about R2. I will tell you how it goes. Thanks for being there! Today I had my interview with a Duke alumni here in Madrid. It is my third so far and I think that fact helped, since I already knew what to expect and came to the meeting much less nervous than to the other two. The interview itself was very friendly and conversational. As expected, the goal of my interviewer was to get to know me better and gather more specific information regarding certain parts of my background and profile. Therefore, no trick questions or akward moments, but very straighforward. I have to say that time flew, I felt so comfortable all along that I really did not realize how fast the 30 minutes went by. And all of a sudden it was my time to ask questions; I had quite a few and my interviewer went into great detail to answer each one of them and share his experiences. All and all a great interview, and that left me very comfident in my possibilities. On the other hand, I am still waiting to hear from Stern. I believe they are still in the process of sending interview invitations, but I am not too stressed about it, I am used to waiting already. Besides, now it is time to think about R2. I have already decided to which schools I want to apply: Harvard, Chicago Booth and UCLA. I am not sure I will apply to all of them, it will depend on my R1 results, but probably I will try HBS anyway. The good news is in a couple weeks we will know if I am admitted to any of my R1 choices. Nail-bitting time!